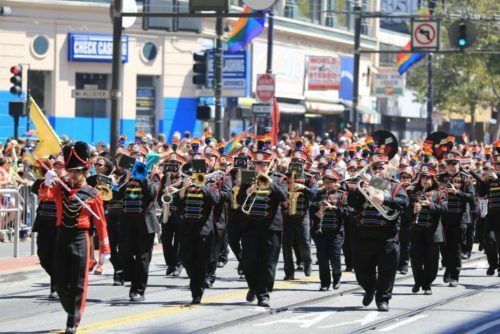 No parade is complete without a band, and leading the way in San Francisco is the Lesbian/Gay Freedom Band — playing with pride since 1978. That’s when native Kansan Jon Reed Sims founded what was then the San Francisco Gay Freedom Day Marching Band and Twirling Corps, then the world’s first openly gay musical group. He’d heard Harvey Milk’s famous “Hope” speech, and he organized the band in response to Anita Bryant’s anti-gay campaign. The late Jon Sims, who founded both the Lesbian/Gay Freedom Band and the San Francisco Gay Men’s Chorus in 1978. It’s now known as the San Francisco Lesbian/Gay Freedom Band. Besides marching in Pride, the band performs four concerts a year. A true community band, it was named the official band of San Francisco on its 20th anniversary, in 1998. 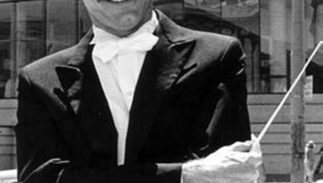 1978 was a benchmark year for two gay San Franciscans originally from Kansas. Jon Reed Sims, originally from Smith Center, founded both the Gay Freedom Day Marching Band and Twirling Corps and the San Francisco Gay Men’s Chorus. And Gilbert Baker, originally from Chanute, created the first Pride flag.